Although much of what we regard as the ancient forerunners of humanism tend to be found in Greece, the original humanists of the European Renaissance first looked to the forerunners who were also their own ancestors: the Romans. It was in the philosophical, artistic, and political writings of the ancient Romans that they found inspiration for their own move away from traditional religion and otherworldly philosophy in favor of a this-worldly concern for humanity. As it rose to dominate the Mediterranean, Rome came to adopt many of the basic philosophical ideas which were prominent in Greece. Added to this was the fact that the general attitude of Rome was practical, not mystical. They were primarily concerned with whatever worked best and whatever helped them achieve their goals. Even in religion, gods and ceremonies which did not serve a practical purpose tended to be neglected and ultimately dropped. Lucretius (98?-55? BCE), for example, was a Roman poet who expounded the philosophical materialism of Greek philosophers Democritus and Epicurus and is, in fact, the main source for contemporary knowledge of Epicurus thought. 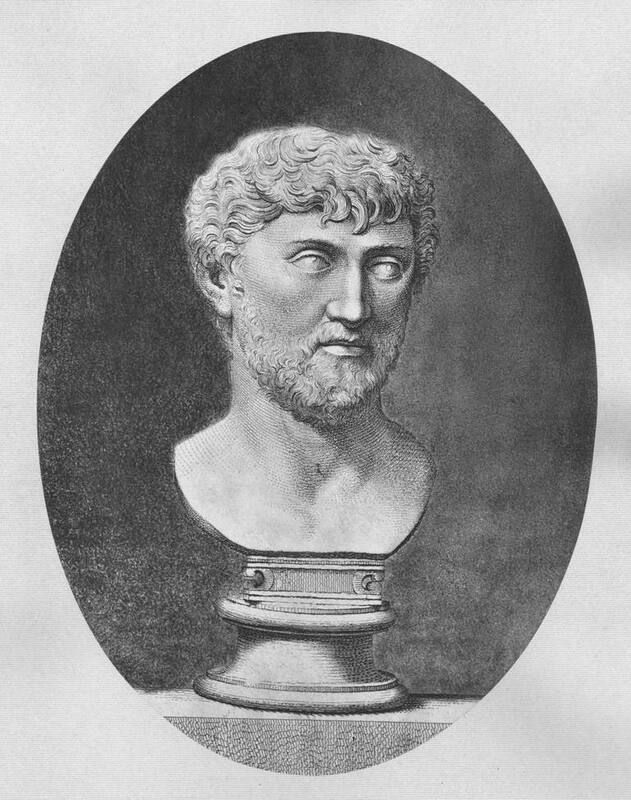 Like Epicurus, Lucretius sought to free humanity from the fear of death and of the gods, which he considered the primary cause of human unhappiness. According to Lucretius: All religions are equally sublime to the ignorant, useful to the politician, and ridiculous to the philosopher; and We, peopling the void air, make gods to whom we impute the ills we ought to bear. For him, religion was a purely practical matter which had practical benefits but little or no use in any transcendental sense. He was also one in a long line of thinkers who regarded religion as something made by and for humans, not a creation of gods and given to humanity. Lucretius insisted that the soul is not a distinct, immaterial entity but instead just a chance combination of atoms that does not survive the body. He also postulated purely natural causes for earthly phenomena in order to prove that the world is not directed by divine agency and that fear of the supernatural is consequently without reasonable foundation. Lucretius did not deny the existence of gods, but like Epicurus, he conceived of them as having no concern with the affairs or destiny of mortals. Many other Romans also had a dim view of the role of religion in human life. Ovid wrote that It is expedient that gods should exist; since it is expedient, let us believe that they do. The Stoic philosopher Seneca observed that Religion is regarded by the common people as true, by the wise as false, and by the rulers as useful. As with Greece, Roman humanism was not limited to its philosophers but instead also played a role in politics and art. Cicero, a political orator, did not believe in the validity of traditional divination, and Julius Caesar openly disbelieved in doctrines of immortality or the validity of supernatural rites and sacrifices. Although perhaps less interested in wide-ranging philosophical speculation than the Greeks, the ancient Romans were nonetheless very humanistic in their outlook, preferring practical benefits in this world and this life over supernatural benefits in some future life. This attitude towards life, the arts, and society were eventually transmitted to their descendants in the 14th century when their writings were rediscovered and spread across Europe.